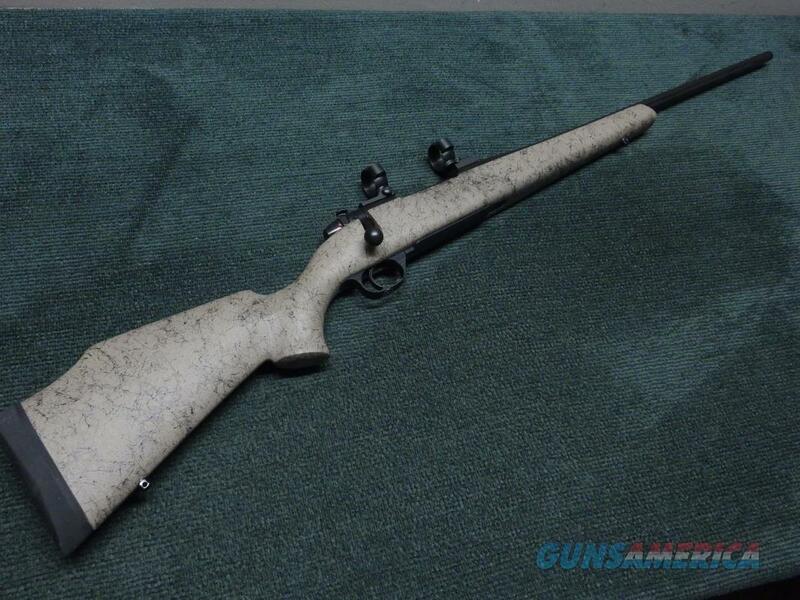 Description: Weatherby Mark V Ultra Lightweight, 6.5 Creedmoor, 22-inch fluted blackened stainless steel barrel; mint condition (no box) with Leupold bases and 30mm rings. VISA/MC/DISCOVER/AMEX(add 3%); money orders, checks; $45shp. When you are miles from any sort of transportation, ounces quickly become pounds. Multiply that over days or weeks and having a light and easy to carry rifle isn?t just important, it?s a necessity. We designed the New Mark V? Ultra Lightweight to balance well in the hand, be very lightweight, and still be guaranteed to shoot SUB-MOA. This is the perfect rifle for the most avid and dedicated hunter who doesn?t want to sacrifice performance for weight.